Good girl! 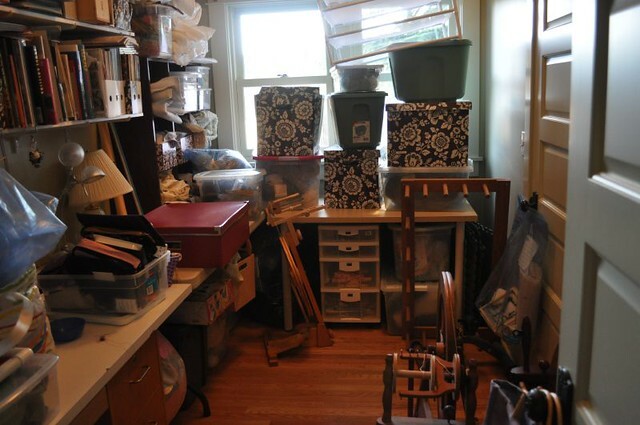 I'm just jealous you have a yarn/fabric/craft/room/office. Floor! You can see the floor! Wow. I'm not sure my "office" has a floor anymore. It's probably been absorbed into the overstory and I'm too chicken to go in there and find out. Plus I don't have a tween to pay to help me. It's good to make progress! I'm trying to redo the whole house, and it is a total disaster right now. I suppose I should tackle one room at a time, but where's the fun in that?